On a 120-year long space flight, a passenger is awoken from their hibernation pod 90 years too soon. "Passengers" is directed by Morten Tyldum, who is best known for his Oscar-nominated film "The Imitation Game." It is written by Jon Spaihts, who was a writer for "Prometheus" and "Doctor Strange." It stars two of Hollywood's hottest stars at the moment, Chris Pratt and Jennifer Lawrence, who play two of the "Passengers" aboard the spaceship Avalon, which is on a 120 year long trip to a new planet called Homestead II. Unfortunately, they are woken up far before their intended time. Pratt's Jim Preston woke up 90 years too soon, and Lawrence's Aurora Lane (no, not a stripper), was awoken a year and some change later. "Passengers" is very much a tale of two films: one dealing with loneliness, desperation, companionship, and the morality of highly questionable actions, the other a standard sci-fi disaster movie. What starts out as a bit of a "Cast Away" in space scenario quickly turns into "Titanic" in space, an interstellar romance, and eventually a sci-fi disaster movie. Similarities to other existing films do not end there as Tyldum has made many homages to Stanley Kubrick with the visuals he has chosen, both nods to "The Shining" and "2001: A Space Odyssey" in particular. This is a striking film in terms of its impressive special effects and wonderfully constructed sets and costumes. The look of the movie is the best part about it, which also cost it the most money to make. Pratt and Lawrence can both be very charming and capable actors as they are the primary focus and carry the vast majority of the film. Joining them is Michael Sheen as the android bartender Arthur, who is one of only other two supporting characters in the entire film. The first two thirds of this movie are mostly compelling as a sci-fi dramedy filled with conflict and questions exploring the human condition. 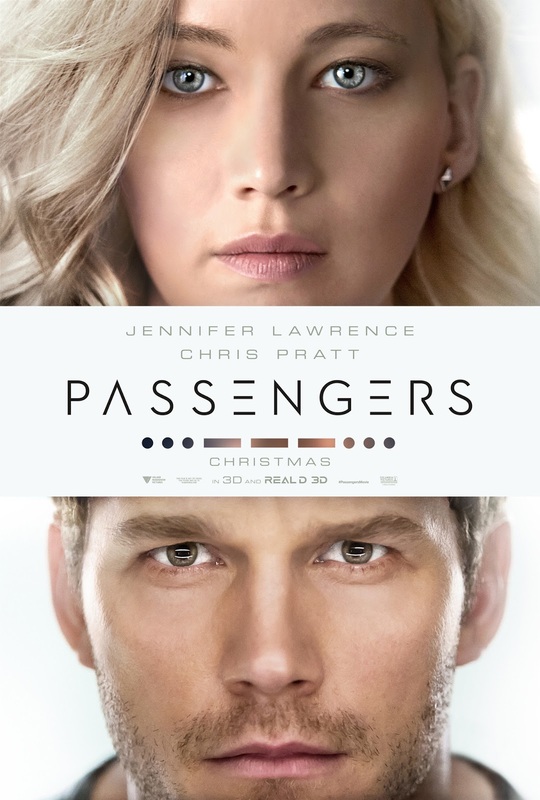 BigJ and I disagree about a key factor in this movie, however, and that's the moral implication of what happens in "Passengers." *******SPOILERS******* We don't spoil movies that often, but it is imperative to discuss the gaping plot holes left out of the trailer as a mid-story twist (which we both saw coming). After a year of loneliness and isolation, after a year in deep depression and being borderline suicidal, Jim happens upon a cryo-sleeping Aurora, finds out all about her, wrestles with the morality of waking her up, which would doom her to the same fate as him, and eventually gives in and does it anyway. Where one may see this as a person crawling out of their solitary exile, others may see it as Jim taking away Aurora's choice. We understand that true isolation, real loneliness, will drive people to do crazy things (funnily enough, a subject Kubrick has worked with before), that actual human interaction is a necessity that is only superseded by food and shelter, but when he wakes her up, he is essentially dooming her to a life she didn't plan for herself and one she didn't want, so she just has to learn to fall for the man who awoke her. It's sort of creepy when you think about it. It isn't until the third act where "Passengers" truly starts to become a victim of its genre tropes as it starts to have many contrivances in its wrap-up stages. It finishes with a by-the-numbers action sequence complete with a ticking time clock and other cliches that just happen to make the movie end the way it ends. Tyldum and co. had a genuine chance to make a movie with a bold and risky ending that could have been a lot more poignant, but they opted for the much more traditional Hollywood route. "Passengers" could have been something really great, but due to a lack of guts and some questionable choices, it winds up being something far more forgettable.